Roofs are the crowning glory of any property. So when it comes to selecting the perfect roof tile for your home, it’s important to understand that roof tiles are a long-term investment for your home, and not just a one-off cost. With a bit of expert advice, selecting the right roofing material doesn’t HAVE to be an overwhelming task. That’s why we’ve pulled together our top-tips for you, and given you the low-down on what it is we do to help you select the perfect roof tile for your home. 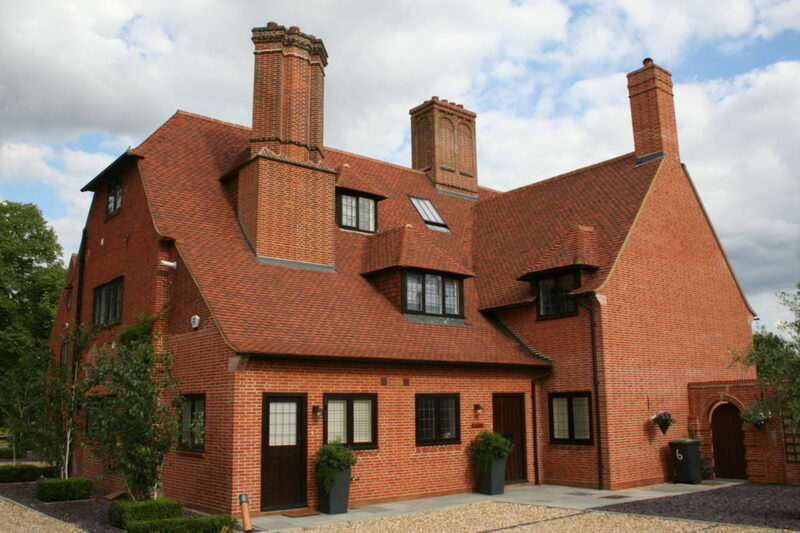 Selecting the perfect roof tile is easy when you know how, but because the roof of your home could well have the biggest visual impact, it is essential you first take advice from the experts. Roof pitch, often referred to as the “slope” of your roof, is the measurement of the angle of your roof. Not only does it tell you how steep your roof is, but it also acts a vital measurement that helps you to determine the types of roofing material or roof tile that will work for your home. Essentially, the angle of your roof has to be a certain pitch to allow for a particular tile. For example, you might love handmade clay tiles, but if the pitch of your roof isn’t right it’s likely that you won’t be able to use this particular material for your home. Additionally, if you select a material that is not compatible with your home’s roof pitch it could have serious consequences, such as the warranty of the material becoming void or the risk of water damage becoming greater. Have a discussion with your building contractor about the pitch of your roof if you’re unsure of what this is already, or have a member of the Lifestiles team visit your site to conduct some measurements. That way, when you start doing research around the type of material you would like, you’ll have a good idea of what is realistic for your home. All of these elements need to complement and balance one another to make sure they are in line with the architecture of your property, and importantly with the “vernacular” or “local style” of the land and properties surrounding your home. The design and architecture of a building is vital for its aesthetic appeal. But make the wrong choice of roofing material and all of your design work could be fruitless, and no one wants a home that stands out for all the wrong reasons. Every area in the UK has a different style of roof tile associated with it. Do a quick Google search about your area and consider its history, or even snoop at the roofs of properties nearby. 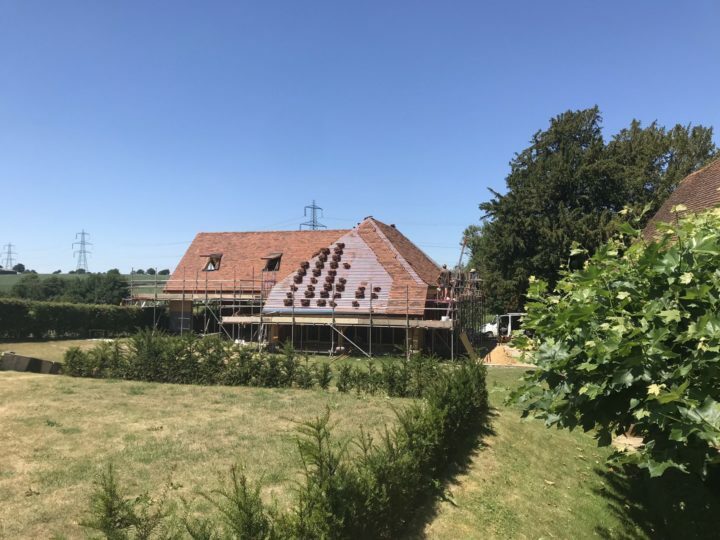 A great example of this is one of our customers Toppesfield Vineyard [Link Toppesfield Vineyard case study], who selected our Woburn range of clay roof tiles for their new build. The Woburn range was able to give Toppesfield Vineyard [Link to their website] the same aesthetic appeal as their on-site Grade II listed home, plus all the advantages of a new, sustainable tile. Helping to spread beautiful rooftops across the UK means we only supply the best of the best, and all of our natural roofing materials are manufactured with close attention to the life-cycle of the product, right through from extraction from the earth to the final beautiful roof scope of your home. The factory owners and staff along with the quarry liaise directly with our team in the UK, ensuring a sustainable product without compromising on the quality and aesthetics of the materials. When thinking about the performance of our roof tile ranges, we take into consideration the level of maintenance this tile could require in the long-term. All of our tiles have a 30 year guarantee, so when you select a roof tile that has a long life span not only are you securing the sustainability of your property as a whole, but you are also contributing to the charm of your home. Which, let’s face it, can only be win-win. We only supply the best of the best when it comes to roofing materials, so all of our tiles are tested to both European and British Standards to help satisfy the authorities and planners that are local to you. Additionally, when it comes to approaching a roofing contractor to fit your chosen roof tiles, we’ve got you covered. We enjoy supporting local trade, so our team can recommend a roofing contractor that we know will finish the work to the highest standard. Every roofing material has its own set of qualities, so it’s important to choose the one that will meet your needs. By considering important factors like your roof’s pitch and the design of your home, as well as the source and overall performance and efficiency, you’ll be on the right track for selecting the perfect roof tile. We’re the experts, but that doesn’t mean we want to bamboozle you with technical facts or sell you the wrong roof tile for your project. Our team are always willing to give you the best impartial advice to ensure you select the perfect roof tile for your home. Why not find the right fit for your roof at our yard in Toppesfield? Book an appointment today by giving us a call on 01787 237057 or by emailing sales@lifestiles.co.uk. We’ll pop the kettle on.